From the cowgirls at Wenya and Yoeli comes book reviews, the Window Seat. I've been neglecting every part of Wenya and Yoeli, welcome to my life of education is everything. Anyway, just wanted to share this. where voices whisper to me so soothingly? something I cannot bring myself to muster when I must leave. what is wrong, that you are moved to tears? and as valued as precious stones. After a devastating flood orphaned Noelle Brown, she thought her handsome and charming benefactor, Andrew Paige, could be the man of her dreams. So why did his steely eyed older stepbrother, Jared Dunn, make her heart race and her breath catch in her throat? Desperado turned lawman, Jared had come home to Fort Worth, Texas, ready to leave his dangerous past behind. The green-eyed, feisty young woman his stepbrother had taken in wasn't the gold digger Jared had expected. Far from it-the unconventional, innocent beauty needed his guidance to learn the ways of high society, a task he found surprisingly enjoyable. When scandal threatened them all, Noelle would be forced to marry to save the family's honor. But which brother had truly captured her heart? With rivalry pitting brother against brother, one thing was for certain-this wouldn't be a marriage of convenience! This book isn't one of my favorite's by Diana but that is because it's more about a lawyer than a cowboy. But on the bright side the sexual content is less than most of her books I have read, so I refer to it minute mild. If your interested in a book with more morals than most of her books, less sexual content, and a redheaded tempered woman (like myself) you will enjoy this book. The first time your ice skates hit the ice, life seems to stop breathing. Written for the one who got away, and never knew how much I appreciated their lovin' care. They were friends, neighbors, and occasional confidants. Certainly nothing more. Now Kingston Roper needs a favor from Elissa Dean --- he needs her to get caught in his bed. Elissa's sure she can help King out of an awkward situation caused by his rebounding sister-in-law's misplaced affection. After all, she might be the last American virgin, but she could definitely play the temptress...just to be neighborly, of course. But there's a problem with her good intentions. Because Elissa doesn't want to playact anymore. She wants the real thing...with King. But Elissa knows the kind of passion a man like King expects: brief, intense and heartbreaking. Passion could lead to many things, but could they ever be the thing they both want? This is one of my favorite Diana Palmer books I have read up to this moment, which isn't many so don't jump on that conclusion to quickly. This has a tropical setting as well as a Midwest setting which I feel gives it a fascinating twist. I'm not a die heart "I want to go to the beach" person, but this books makes me want to go to the beach. This isn't one of those perfect everything falls in place love story throughout the entire book, so it gives you a taste of real life, which I like. Once again I love Diana Palmer story telling. Rugged as an oak, moody as a thurdercloud, rancher Callaghan Hart awed women and intimidated men. So how could one scrappy little redhead nearly bring Callaghan to his knees? Easy! Tess Brady, the rancher's new housekeeper, was soft and sweet. Her youthful innocence drew him like a moth to a flame. But there was no way Callaghan would ever consider marriage, and a casual fling was out of the question. Somehow, he had to resist her, no matter how tempting she was. I read this quite some time back, but one of my favorite things is that she is a redhead, as likewise myself. Redheads tend to have the mentality they can do anything they set their mind to, just like Tess does in Callaghan's Bride. 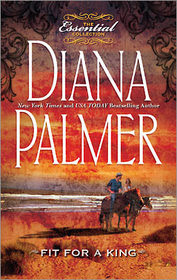 I love Diana Palmer's stories, she is a great story teller that draws you in. And whispered, "come with Me!" and saw her fading away. we couldn't make her stay. Hard working hands are at rest. The mouth of the dark path into the forest was filled with tracks. Both booted ones and graceful wolf prints; there were traces of lithe deer trails running through the undergrowth. As I started along the path. There were many things that I noticed quite suddenly. One of which, was that it was almost as dark as pitch. The trees, bare as they were, blocked out all glimpses of the stars and moon. I was left to my own vision. Which in truth, isn’t all that great. It’s not bad, but in the dark its a little bit lacking. It became apparent that there was a wind blowing through the woods; my hair began to swirl around my face in long tangled blond strands. And lastly, the most important of all, is this: I was not alone. I could feel their presence almost like you can feel a breeze against the back of your neck. Just a small whisper of a touch that makes you shiver and check over your shoulder. I began walking a bit faster. Deeper into the woods I went following the path that gradually became nonexistent. Then, I stood there. Listening for the slightest wisp of a sound. As though it heard my thoughts, a sudden sharp crack resounded from behind me. I whirled, nimbly, on my feet to face whatever came at me from the depths of the forest. I froze into place. A sleek, agile footed, lithe, stormy grey colored wolf emerged from the swaying undergrowth. He tread gracefully into the clearing with a sharp, cold, clear air about him. He circled once around me. He came back to a stop right in front of me. It was as if he could hear me thinking. Before I could get my thoughts any farther than that, he started slowly gliding toward me on silent paws. He never once made a sound. My mind started working double time. But it never got off of his appearance; seamlessly searing itself into my thoughts. 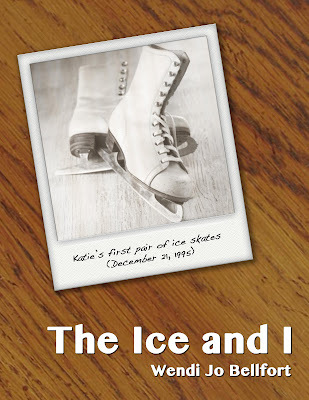 While my thoughts were spinning, whirling, and freezing, he had gotten even closer yet. But what happened next; I never saw coming. He didn’t launch his sleek body at me, or lunge for my body. He stopped, and fixed his icy blue eyes on mine. It was like nothing I had ever felt before. I didn’t know where to turn although I wasn’t sure I wanted to. Never had I seen a gaze like that before. And suddenly, almost as quietly as he had appeared he started to walk back into the inky darkness of the forest. Before he was completely concealed in shadows, he looked back at me and shifted his head just slightly. Almost as if he were given me a secret message meant only for me. Before I could do anything in response, he continued to silently disappear into the night. I stood there for an unmeasurable amount of time. Only after those passing minutes, did I begin my own trek back out of the night-shrouded woods. Thinking the whole way back “I will return.” And that I did.